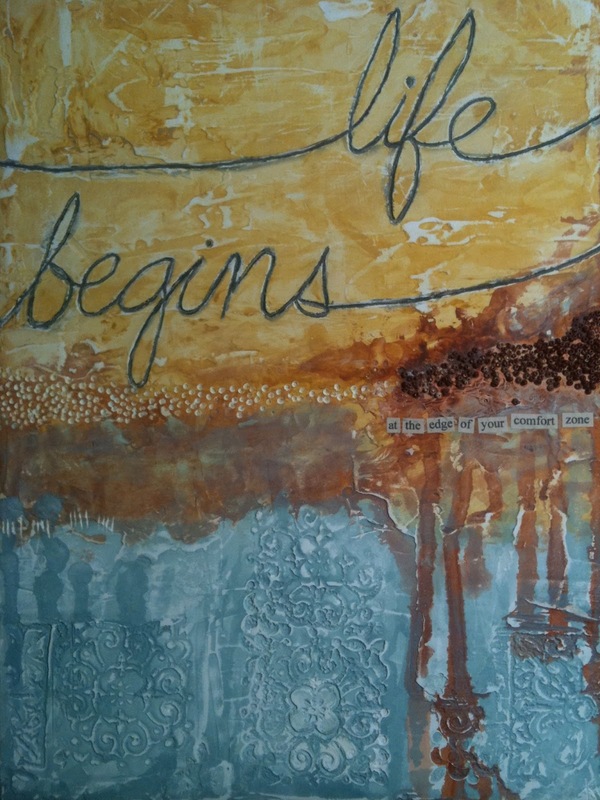 A darling friend of mine is embarking on her own creative journey. This is the quote that started her on a new path. These words resonate with me as well. I admire her courage as she toes the edges of the wild and beautiful unknown. Erin, this is for you. 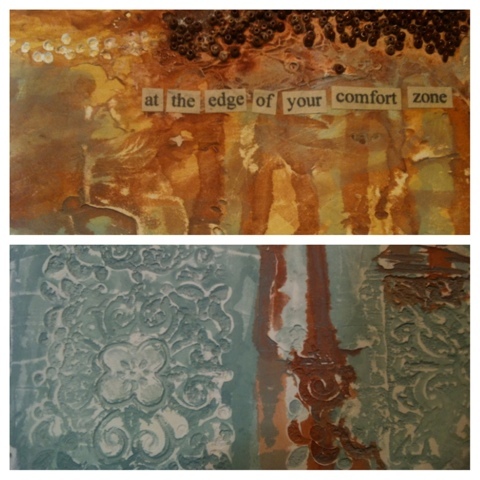 detail "The Edge of Your Comfort Zone"; I love the textures in the plaster! I definitely explored the edge of my comfort zone with this new to me art medium.